Sun loves everything about playing soccer: the cheers, the competition, the winning. But he feels as though something is missing. When he sees his younger brother spread out on the floor, creating a wondrous piece of art, he remembers how much he loves to make things. He goes to the beach to think, and it’s there that a magical encounter with a fox helps him reconnect with a long-forgotten source of happiness. Simple words and stunning illustrations pair to show us there is more than one way to be a boy and remind us of the deep satisfaction of creativity. 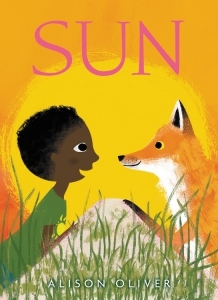 Sun, a sporty boy, reconnects with his artistic side in this gorgeous, joyful celebration of creativity that offers an expanded and appealing model for boyhood.